When you visit our Pinterest boards, a few things quickly become clear. 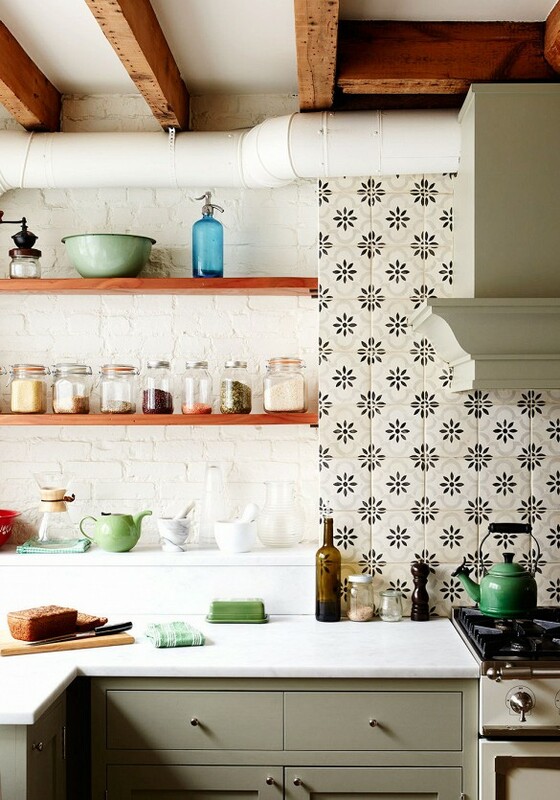 We love color, we love pattern, and we love – love – tile. 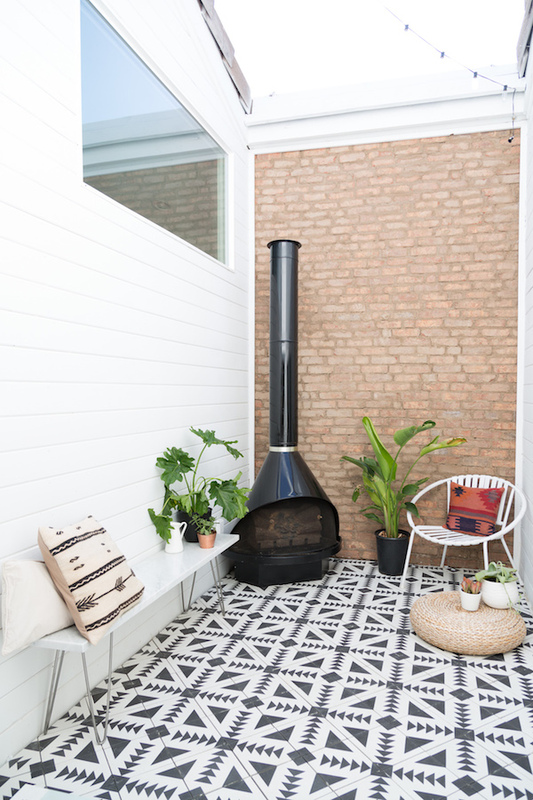 Today we decided to share some of our favorites – whether it’s a kitchen backsplash, an accent for an inset shelf, or an entire floor, there is something undeniably chic about the way tile has been used in these rooms. Do you have a favorite? 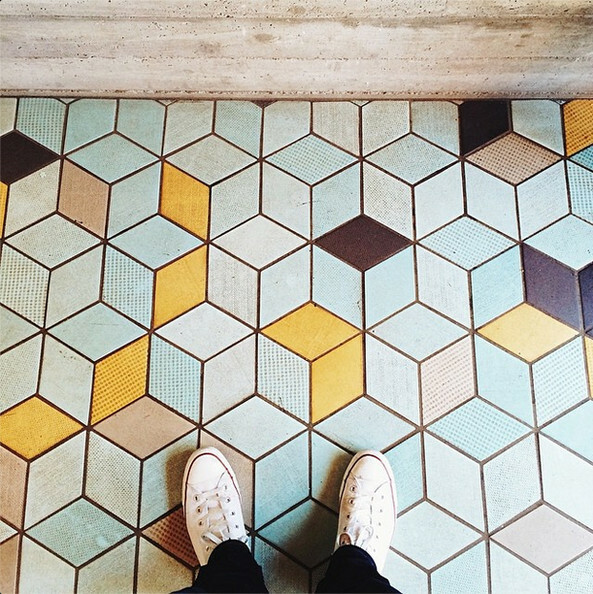 We’re particularly enamored of the blue and yellow floor in the first image. Happy Monday! I love all seeing those patterns – my favorite being the last one. But, and there is such a but, unless they are in Italy and heated, I don’t want to live with them, just feel cold feet and bonked toddler heads. 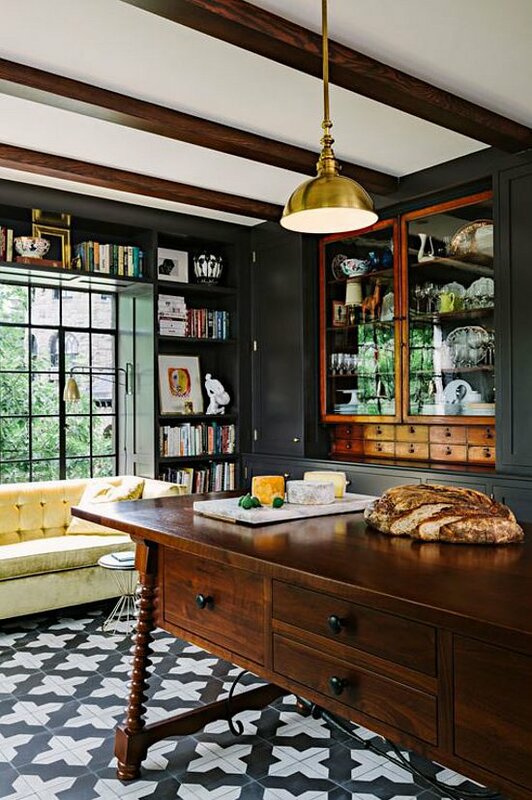 And it’s so old-fashioned, but the tile I love is on counters, practical, colorful, willing recipient of hot frying pans and wet glasses. Utilitarian and so out of favor I fear. It’s always a pleasure to see what RHW has found – thanks for cheery Monday morning visuals! I love tile. 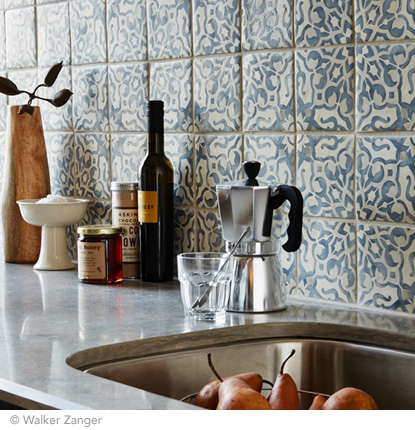 My favourites from this selection are the blue and white Delft-esque tiles being used as a sink splash back, the dusky pink tiles in the shelved kitchen nook and the blue, white and purple (?) tile in the bath shot. While I love tile, I do not love tiling. Perhaps by virtue of having removed tiles from a bathroom where every surface but the ceiling was tiled and then retiled that same room, I have a bit of a phobia of ever doing much tiling again. But I have bought a house with two 1970s bathrooms so tiling awaits me in my future once those rooms rise higher in the makeover priority list. The sound of a tile cutter still makes me judder. My favorite is the little niche with the reddish tile behind the counter. Just enough tile. I totally agree with Katy about floor tiles and counter tiles. I still love the blue tile I put on my countertops back in 1979. 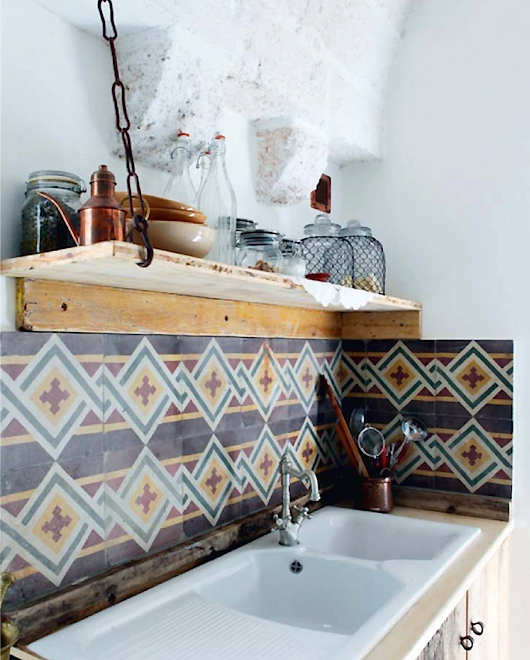 I never get tired of it, but have never wanted to have a tile kitchen or bathroom floor. Too unforgiving. I enjoyed all these great photos. Thanks for this weekly hit of inspiration. 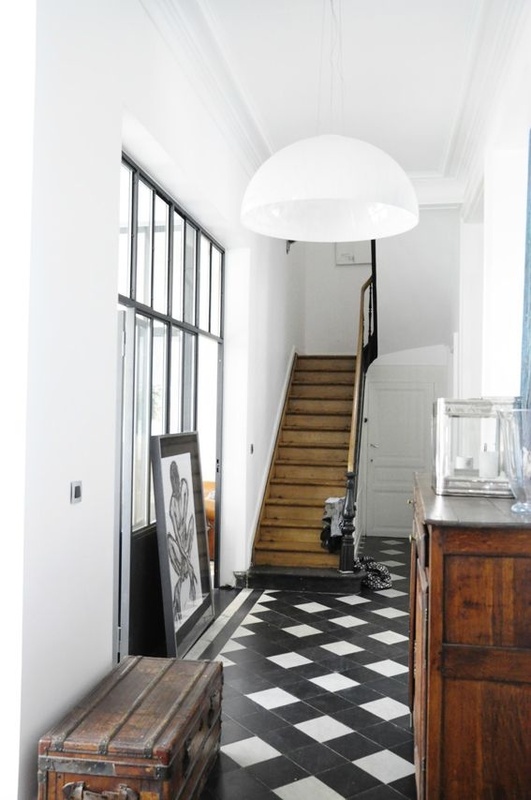 I like the fourth and seventh images best, but I’m with Katy when it comes to tile floors. 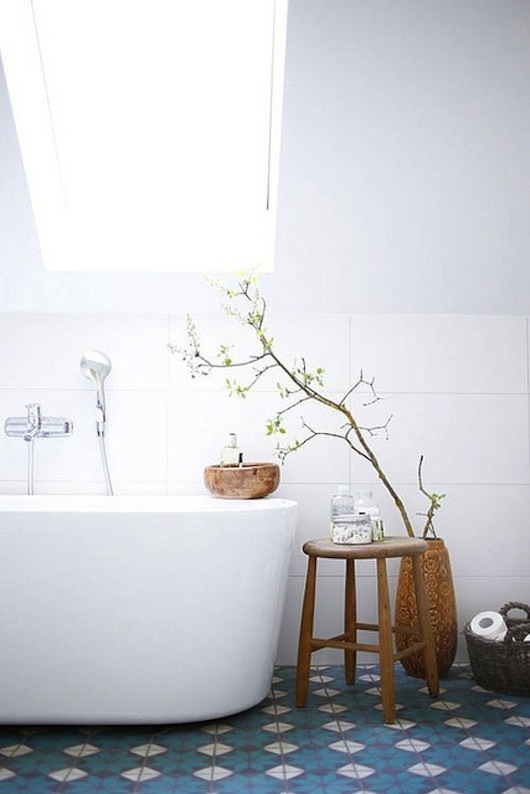 Having lived with a ceramic tile floor in my kitchen for ten years, I will never choose to have a tile floor in the future—it’s much too unforgiving, very hard on the feet, and cold! Thanks for sharing these images with us—I do love the colors and patterns! I love the colorful tile! I have a simple ordinary subway style red brick tile in my front foyer and laundry room. I agree with other comments, that it is very cold (here in Michigan). 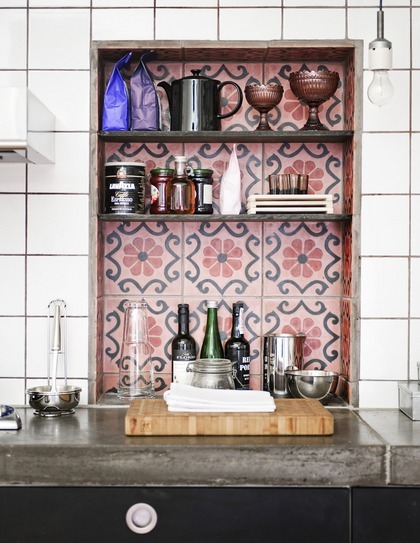 I would however love a colorful tiled ‘back-splash’ in the kitchen! !